A Shively Police officer shot a man recently following an extended chase through a Kentucky neighborhood outside Louisville. Moreover, the suspect brandished a loaded pistol after ignoring officer warnings. The chase began after officers responded to calls from several residents describing a suspicious man going in and out of yards throughout the neighborhood. After officers responded, the suspect, identified as 26-year-old Terry L. Sams, fled through neighborhood yards, and the chase was on, according to a story posted by wdrb.com. Officer body cam footage shows an officer, identified by wdrb.com as Steve Becker, an 11-year veteran, cutting through yards and hopping fences in pursuit. Further, footage shows Becker catch up to Sams, ordering the suspect to show his hands. But Sams responds with obscenities and allegedly pointed a gun at Becker. Then footage clearly shows Becker engage the suspect with several shots, putting the suspect down. Police recovered a loaded pistol on the ground next to Sams. Also, authorities transported Sams to University Hospital to treat wounds to the torso, hip and leg. Police also found drug paraphernalia on the ground near Sams, according to wdrb.com. Authorities said Sams’s condition had stabilized. The suspect faces charges of “first-degree wanton endangerment, fleeing or evading police, possession of a handgun by a convicted felon, criminal trespassing and possession of drug paraphernalia,” according to wdrb.com. 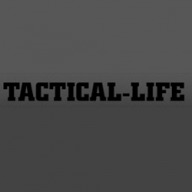 The post WATCH: Shively Police Chase, Shoot Armed Suspect Outside Louisville appeared first on Tactical Life Gun Magazine: Gun News and Gun Reviews.